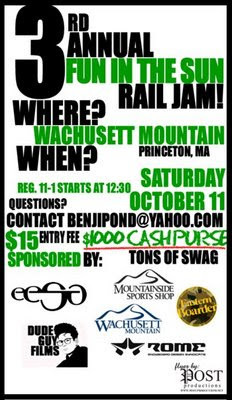 *Tons of swag and prizes on top of the cash as well as the notorious product toss! That night here at the shop we will be premiering the debut release from Videograss along with the Ride team video and another video TBA. Check out the Videograss teaser from what I've heard the video is sick! More info and flyer to come.